Given the choice between perpetrating illegal poaching activities in broad daylight and the cover of darkness, most committing the crimes will opt for the latter. Bearing that in mind, those trying to protect the animals are upping their game. Two brand new Savannah airplanes with special "night rating" -- acquired by Peace Parks Foundation (PPF) for use in Mozambique by the country’s National Administration for Conservation Areas (ANAC) -- will, among other duties, target anti-poaching activities. The planes will "patrol for suspicious activities after dark – the critical time when most illegal activities usually take place in protected areas." 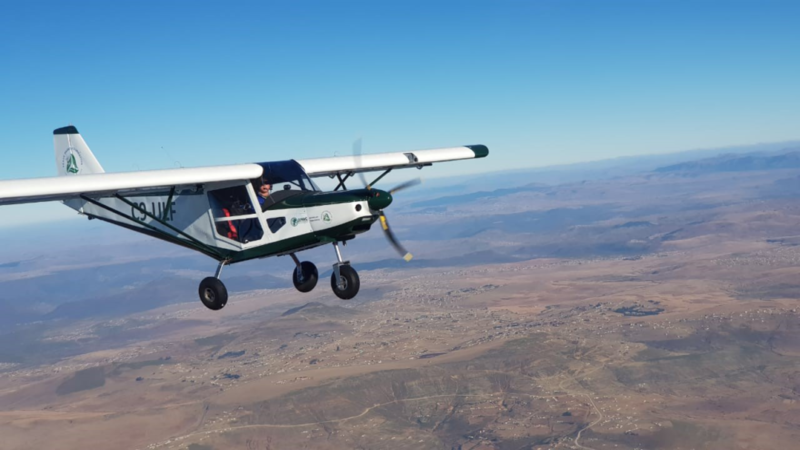 One of the two-seater planes will be used in Zinave National Park -- the 1 million-acre park that has received nearly 50 elephants to date from De Beers' Venetia Limpopo Nature Reserve across the border in South Africa, as part of the "Moving Giants" program. Zinave forms part of the Great Limpopo Transfrontier Conservation Area and is co-managed by PPF and ANAC. The other plane will be used in the Maputo Special Reserve in the Lubombo Transfrontier Conservation Area, where PPF has a similar co-management arrangement with ANAC. Both planes will additionally be used for the planning and execution of reserve development and conservation management, but it is anti-poaching operations that merit the lion's share of the attention, as all stakeholders in the conservation arena rally to turn the tide against the ubiquity of poaching. There is a new, vigorous anti-poaching infrastructure in place in Zinave, aided by a $500k USD contribution from De Beers specifically to combat such activities. The funding is going toward the hiring and training of more rangers, as well as and the opening of new access roads to increase patrol coverage. PPF funded the acquisition of the aircraft, while ANAC is paying costs associated with permanently importing the airplanes from neighboring South Africa. PPF also provided funding for two pilots -- one from Maputo Special Reserve and one from Zinave -- to train for and acquire their private pilots licenses, required by the Mozambique Aviation Authority in order to fly a Mozambique-registered aircraft.